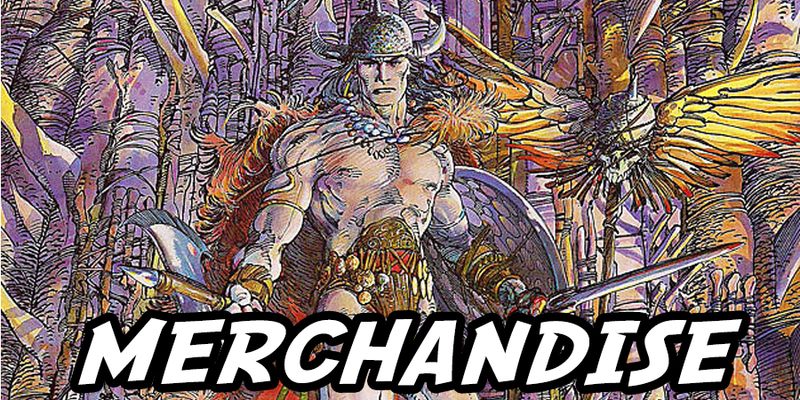 You have marveled at the awe inspiring selection of merchandise! You have trembled before the stylized " Z " logo! You have cowered at the mighty spectacle of Perry's flexing biceps! But up until now very few of you have heard the true story of the origins of Zanadu Comics. Make yourself comfortable as we begin our little tale by traveling back to the year 1975 . . . . . .
Having recently left his construction job in Denver, CO, (thanks to the recession) Perry Plush packed up his belongings and set out for the Pacific Northwest. Perry had decided that the time was right to try his hand at a new business venture, one involving his long-time interest in comic books. It was with this that Zanadu was born. It was in August, 1975 that Zanadu first opened its doors. This was a modest 400 square foot location on Pacific Highway. This store, which he shared with a used book business, was one of only three shops in Seattle that specialized in comic books (as opposed to the seventy or so which inhabited the Seattle area in the late 80's and 90's). This was a risky venture for the time. Comic book fans were used to searching for their favorite comics on squeaky spinners in the local drug store. The concept of the comic book specialty shop was foreign to most readers. Comic shops were few and far between (with most of them located in California and New York). The primary "direct-sale" comic book distributor of the time was the legendary Phil Seuling (whom Perry ordered from, bringing "direct-sale" comics to Seattle). Perry was not sure if his idea would be successful (in fact it was only after six years of being open that Zanadu had its first business card), but he was dedicated to the idea and determined to make it work! In June 1977 Perry accepted an invitation from Bob Friedman to share retail space with his business, The Paperback Exchange. Zanadu packed up and moved to a new location on the upper floor of the Bartell Drug Store Building. One month later an opportunity arose to move both businesses to a larger, street level location at 209 Union Street. 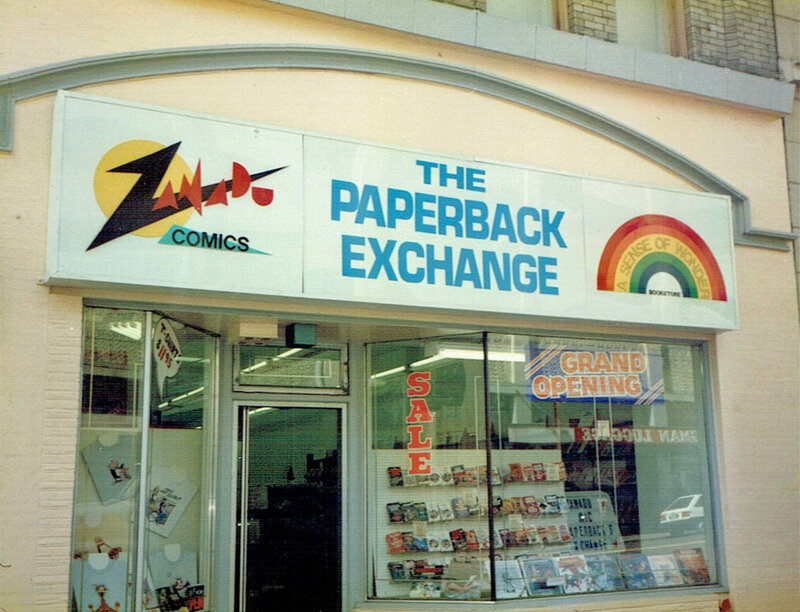 It was in this new 600 square foot location that Zanadu was located for ten years, supplying comic book readers with a vast selection of titles, as well as related merchandise. The scheduled demolition of the Union Street building made relocation occur once again in June 1987. While waiting for the remodeling of the new permanent location, Zanadu set up shop for one month as a "speakeasy" storefront located in the back of Benham Studios. An alley entrance off University Street, between 1st and 2nd Avenues, was adorned with a Superman card-board stand-up (which was quickly stolen by a gang of ruffians). To gain entrance to "Speakeasy Zanadu" customers knocked three-times on the door. With access to their weekly supply of new comics, the lives of Zanadu's customers were complete. After working night-and-day for a month (and persuading the current tenants to vacate early) August 1987 saw Zanadu open at the new location of 1923 Third Avenue. This new spacious (2600 square foot) location allowed for Perry to expand his already-impressive selection of merchandise to include model kits, posters, toys, T-shirts, trading cards, etc. Perry considers this downtown location a something-for-everyone entertainment store. In June/July 1987 Perry opened a second store in Seattle's University District. This second-floor storefront focused on "alternative" comics, while still carrying a full line of mainstream comics. It was in 1991 that Zanadu II moved to its current street-level location at 1307 NE 45th (with customers as well as employees carrying boxes from the old location). This store was sold in April 2011. 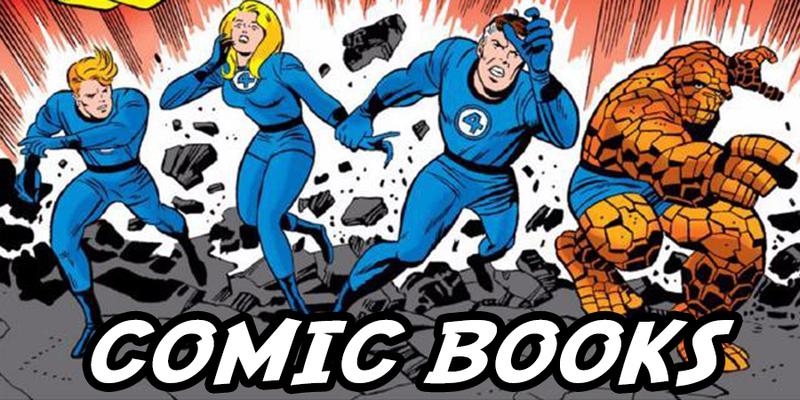 Over the years Zanadu has played host to a number of top comic-book creators. 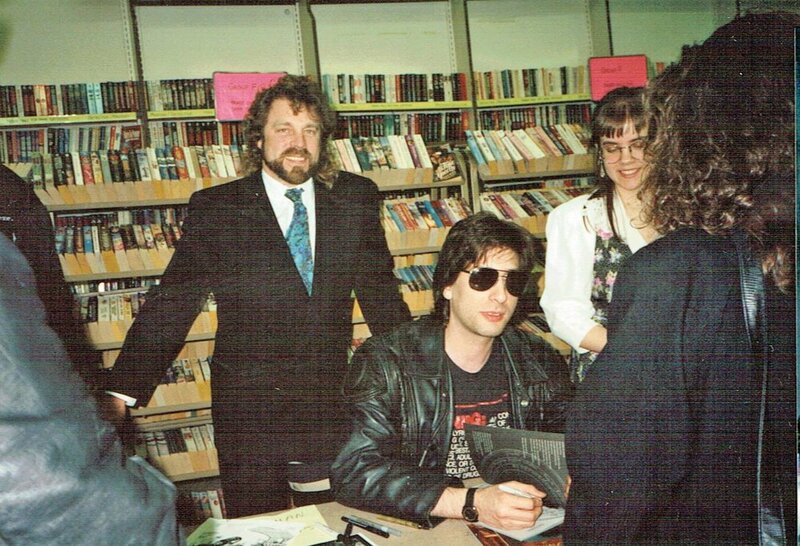 Dave (Cerebus) Sim, Neil (Sandman) Gaiman, Wendy & Richard (Elfquest) Pini, and James (The Crow) O'Barr are only a few of the talented folks who have done signings at Zanadu. Zanadu was also invited by Dave Sim to participate in the 1995 "Spirits of Independents" tour, which featured a plethora of self-published comics creators. One thing that Perry notices is the large number of customers that started shopping at Zanadu as children, who still come in, except now it is with THEIR children. 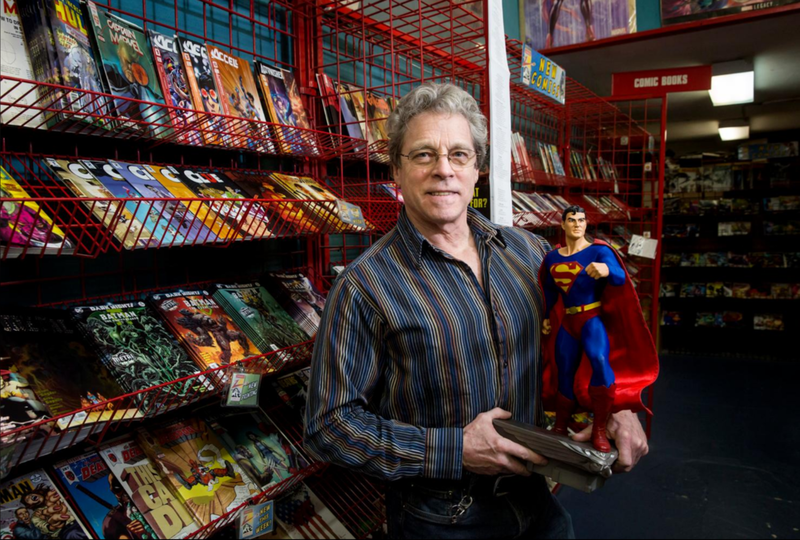 In January of 2018, Zanadu Comics closed the doors of its retail localtion on 3rd avenue. "It's not an ending, it's a new adventure," says Perry. With comics in his blood, Perry has chosen to stay in the industry and contnue to sell comic books, graphic novels and merchandise through Zanadu's online storefront until the day he decides to finally get a real job.